[hr] You love Mexico, and you want to stay. We get it. (That's why we're here in Huatulco Mexico.) But if you're lacking that million-dollar trust fund or generous retirement pension, then chances are you'll need to find a way to earn revenue in Mexico. With the right skill set, a reasonable amount of experience, a passion to build to something and the patience to hurdle over unexpected speed bumps, then you're ready for a revenue-generating adventure in Mexico! The first option part- and full-time expats consider is securing employment at a Mexico-based company. While it is illegal to take a position away from a skilled national, there are still opportunities that await in particular industries. Real estate, specialty markets, tour companies – these industries can open doors of revenue opportunity for you. If you're thinking about carving out your own business in Mexico, then consider what unique service or product you can offer. Perhaps you were successful in a particular field in your home country, and can bring that know-how to Mexico. In fact, below are 12 other ways to earn revenue in Mexico. They are do-it-yourself businesses that can be very rewarding – and profitable – for entrepreneurial expats. Let's face it, tourism is Mexico's biggest money-maker. So why not cash in by starting your own tour company in sunny Mexico? One American fulfilled his long-time dream of opening a scuba company in Cancun. He spends his day treating guests to the underwater beauty of this popular destination. The revenue rolls in every high season (November-March), and during the slow summer months, he's globetrotting around the world. Thousands of expats come to Mexico to teach others English (or other languages of choice). They teach in public or private schools, offer one-on-one lessons, or open their own language institutes. If you like to make connections among professions, then consider a consulting firm. Barefoot Consultant Inc., for example, is an online resource for Baby Boomers who want to “uncover their most powerful earning skills and turn them into a portable income” from anywhere in the world. “Barefoot consultants” help clients identify their most marketable skills and then teaches them how to turn those into a global income. New consultants are then able to work from home, anywhere in the world, even our favorite location, Huatulco Mexico! Successful real estate agents in other countries recognize the fact that great opportunities exist in Mexico. There are beautiful communities to build and enhance across the country. (For us, this location was Huatulco Mexico.) In fact, seasoned agents will quickly discover that with the right connections, start-up capital and a finger on the pulse of the next opportunity, they can make a decent living. If you have a Human Resources background, you can put your expertise to work helping others find employment. One Swedish-Canadian businesswomen brought her know-how to Puerto Vallarta. She established a team of multi-lingual, multi-cultural professional recruiters and head-hunters who recruit highly qualified candidates for international companies. Her business was such a hit, that she now has another office in Guadalajara and plans to open others in the near future. As people are living longer than ever – thanks to always-improving medical treatments – there is a need for expats to get health care guidance while in Mexico. If you have a medical and business background, then perhaps you can help with doctor/facility selection, case management, billing, treatment options and finding medical insurance alternatives. If you love to treat guests to home cooked meals, comfy amenities and unforgettable adventures, then you may want to open your own Bed and Breakfast (B&B). One retiree from Canada opened her Cancun home to international visitors. She rents two of her three bedrooms to those who want the Cancun experience without the party scene. Her guests come for the hearty Mexican-style breakfasts and the proximity to hot spots such as Cozumel and Playa del Carmen. The income from this business not only covers food, advertising and year-long maid service, but it gives her the added income she needs to take off the summer months and travel. Mexico's art and handcrafted products are appreciated all over the world. Similarly, international goods are enjoyed all across the country. This makes for a ripe import/export business. If you can navigate complicated legalities, it may be the ticket to a hearty income. Owning a cafe or restaurant can tough with endless competition, rapid turn over and ongoing expenses. But expats who find a special twist to appeal to the palettes of discriminating customers always enjoy a greater degree of success. Take for instance one American couple in San Miguel. They developed a unique business model that focused on a fresh Asian-fusion menu. It was a huge hit! Are you a writer, artist, photographer or creative soul of another type? Chances are your talents could be of use in Mexico. One Canadian writer/editor – based in Puerto Vallarta – services clients all over the world from the comfort of her open-air home on the beach. In the same city, an American photographer serves a wide range of clients all year long. Thanks to nearly ten years of work, he now has the luxury of picking when – and with whom – he works. People in Mexico are making the time to get in shape, eat better and take care of their well being. If you have certified training and experience in this field, you can become an instructor either working for a gym or resort or by opening your own business. Personal trainers, yoga teachers, Pilates instructors and more – they're all needed (as long as you're not competing with nationals). Every year, expats in Mexico hustle to find trustworthy accountants and tax preparation professionals. If you're a licensed professional in these fields, perhaps you will have a ready-made demographic in your chosen area of Mexico. Just a word to the wise, there are a number of must-do's in order to minimize increase your success rate as working expat in Mexico. 1. Learn Spanish – Being bilingual will help you become accepted in your Mexico community. Plus, learning Spanish will help you navigate any complicated government regulations and cultural nuances. 2. Stash Away Enough Capital – Also, it's important to have enough capital to get your business started and to maintain it for a full year. 3. Get Connected – Bring a trusted, highly qualified professional on board to help you with making big ticket purchases and formal legalities. Attorneys and accountants will help you structure your business, file necessary paperwork and work out immigration issues. 4. Bring on a Partner – You may want to share business ownership with a Mexican national. This can minimize risk, connect you with movers and shakers in the community, navigate cultural differences and communicate more effectively with your clients. If you'd like to learn more about this article or find out how Own Mexico can help you get established in Huatulco Mexico, then contact us today. Also, feel free to share your “earn revenue in Mexico” experiences below. 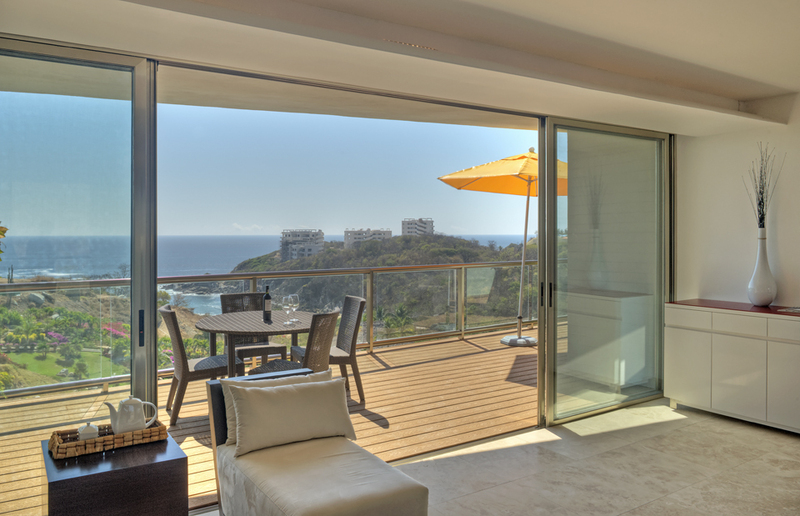 Just imagine…you, on a hill, gazing across a panoramic view of the beach from your balconied Huatulco condo. Beside you, an infinity pool. In front of you, the Pacific Ocean. Behind you, amenities galore with a fully equipped living area, gourmet kitchen, track lighting, fans and air-conditioning throughout, a huge bathtub and much, much more. That's you in a fabulous Huatulco condo! Now what if we amp up this imagery by saying this dream Huatulco condo could put additional rental revenue in your pocket each year? These days, couples and families are traveling more than ever. And what do they want? Experiences. This means bypassing resorts in favor for rental condos with all the comforts of home. These rentals are often in paradise locations, offering natural beauty as well as shopping, day-trips, cafes, cultural events, fishing and water activities, such as swimming, sailing, para sailing, scuba diving, surfing and kayaking. 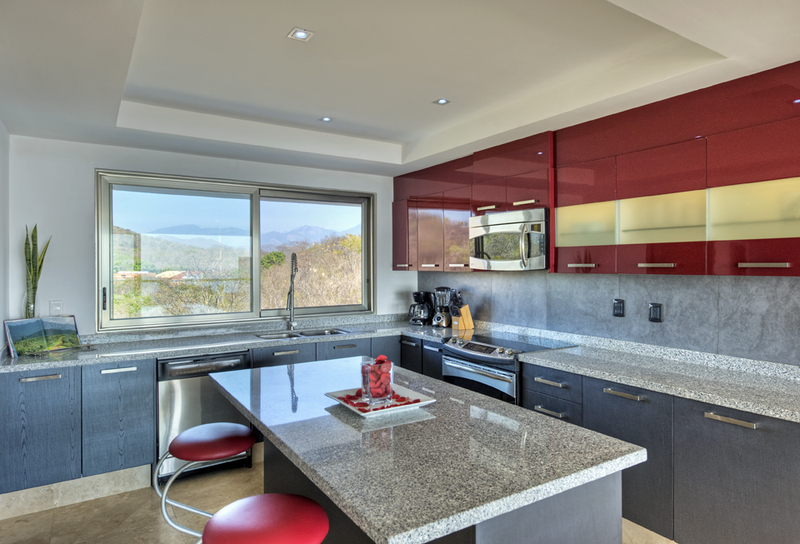 Here at Own Mexico, we can help you find, buy and maintain your Huatulco condos. In fact, we have done all of the leg work and are equipped with the know-how to make the process easy and thorough. We have seen a lot of Mexico, but Huatulco offers the most bang for your buck when it comes to rental condo locations. We have helped numerous investors discover all that this area holds, not only for you but for future renters who want all that Huatulco has to offer along Oaxaca's scenic shoreline. If you'd like to see Huatulco and its surrounding areas, we'd be happy to show you around. Since a rental condo is real property, it has the potential to appreciate in value over time. You, as the owner, can hold the property until the market is ripe for the sale (that is, if you ever decide to sell). A rental condo can qualify you for second home tax advantages. If you'd like to claim tax break benefits, you can track the holiday time you and your loved ones spend in your rental condo in comparison to the time you're away. Of course, if you rent to long-term travelers, you may qualify for a different set of tax benefits associated with having rental properties. A certified public accountant will help you make sense of it all, and we can certainly offer referrals as needed. Here in Mexico, it's common practice for condo owners to secure a management company to handle all of the details of renting your condo. For a percentage of the monthly rent, the management company takes care of rental contracts, rent collection, repairs, misconduct violations, making reservations, providing indoor and outdoor maintenance and securing housekeeping services. This can bring you great peace of mind when you're in another country. Just be sure to carefully review any legal documents, including the declaration, bylaws and house rules that govern your rental condo. And if you need help, we – or our collection of real estate experts – can advise you accordingly. One of the best tidbits we can offer is to do your due diligence. This means hiring third-party professionals to review all legal documents, look up property liens, work with the local real estate experts and handle other tasks associated with the purchase. But don't worry, we can help with this too. Many rental condos are linked to a condo association. These organizations are much like home owners associations. As an owner, you pay into the association, and they work for the good of the neighborhood or building. Condo associations create bylaws that govern rules of operation for pets, move-in and move-out policies, penalties for noise and parties, annual meetings, voting, officer elections and the board of directors. The long-term goal is to keep the property in good shape, and should you want to sell in the future, they have the right to purchase your unit. Just keep in mind that condo associations sometimes restrict rental arrangements. Be sure to do your due diligence on this before investing in a specific condo. • Complete sales and marketing platform designed to assist people with buying, investing, retiring, vacation, living and loving Mexico. • Developer marketing and promotion strategies. • Marketing strategies are planned and developed through marketing campaigns, online marketing, social media, content marketing, blogging, client seminars, online webinars, live presentations, and global publicity events. • Building strong relationships with leads through quality information pieces including articles, How To’s, pictures, videos and blogs. • Converting leads into prospective buyers while providing personalized customer service at ground level. • Providing full disclosure buyer representation, objective thinking, integrity and strong customer service. • Vacation property rentals and management. • Our streamlined process that will make you feel at ease, because it works. • We done it many times before and we can do it with you. • We are your Mexico experts. To learn more about rental revenue and what awaits you in this beautiful paradise, contact us today. Countless travelers are drawn to the beauty, weather, hospitality, and culture of Mexico. But while they’re here, they are often shocked by the great need that lies just beyond the pristine resorts and gringo suburbs. From children’s homes to senior care centers, and from addiction support groups to teaching English, there are a wealth of charities and nonprofit organizations in Mexico that welcome helping hands. If you want to get involved with charity work in Mexico —with time, talents, or donations—start asking around for recommendations. Conscientious neighbors will be happy to refer you to a local charity. A good place to start, check out your local Rotary club. 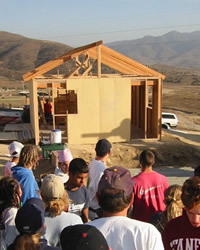 Rotary has an international network of clubs, and projects and organizations that are supported by those clubs. And if you have a sizeable expat community in your neighborhood, check in with their active members on what charity work in Mexico they are taking part in. Chances are they are a driving force within the organization and will offer helpful tidbits. Keep in mind that you really don’t need to have any special skills to make a huge impact. Only a big heart and a little time are needed. And don’t worry if your Spanish isn’t perfect. Organizers can partner you up with a fluent volunteer to make sure you’re able to communicate. Like any other country, Mexico has its share of charity fraud, and you’d be smart to be concerned about the legitimacy of any charity work here. That is why every Mexican state has set regulations to make sure donations reach the intended parties. For example, the Jalisco Institute of Social Welfare (IJAS) has been investigating charities since 1959. It applies stringent policies when legitimizing any nonprofit organization within the state. IJAS officials only register those charities and nonprofit organizations that show complete transparency. This requirement is applied to the books, donation procedures and staffing. Today, there are nearly 700 registered nonprofit organizations registered with IJAS. The Tierra Blanca Project is also one that is near and dear to our hearts. They raise funds to purchase teaching and student school supplies for some amazing children in the village of Tierra Blanca, approximately 40 kms west of Candelaria Loxicha, Oaxaca Mexico, about 2 hours into the mountains from Huatulco. Funds raised have and continue to help purchase much needed supplies including notebooks, pencils, scissors, geometry sets, teaching tools, paper and textbooks. It also goes towards items for physical education, art and music. Their mission is to create an enriching environment in which to learn and grow. 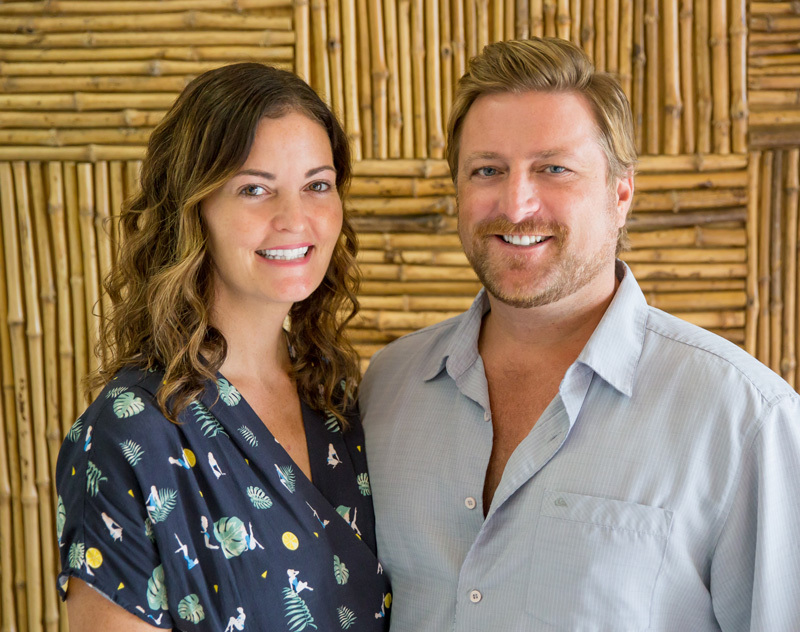 Their long term goal is to fund, build, and equip an elementary school for eighty students, a community kitchen, clinic, sanitary facilities, and a safe residence for two teachers and nurse. Has the agency adopted the Code of Ethical Fundraising and/or a donor bill of rights? Has the organization made the financial statements publicly available and accessible? Who is on the Board of Directors? What are their terms? Does the Executive Director have a vote? Are any of the Board Members financially compensated? Where does the core funding come from? How long is that funding in place? Does the agency have a strategic plan? How often is it reviewed? How are is the organization measuring itself against the plan? How much does it cost to the solve the problem that is being addressed? This isn’t about what is being spent on overhead, but rather, it is about understanding if the investment in the solution matches the negative impacts on society by not solving the problem. Finally, and probably the question you are most interested in knowing the answer to, how will this agency invest your money? How many people will be helped, animals saved, programs delivered, etc. If you’re visiting or living outside of Oaxaca in one of Mexico’s other 30 states, check with your local government to find out if they have a similar state department. 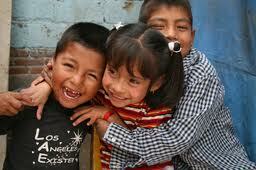 Ask for a list of qualifying charities to determine which charity work in Mexico the best fit for your interests. 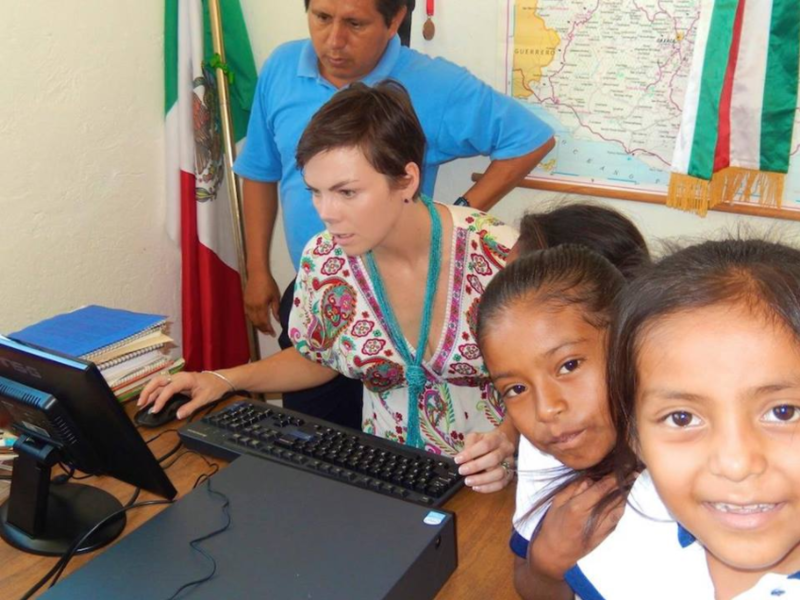 Of course, getting involved with nonprofit organizations in Mexico has it benefits. Individuals and communities flourish when others give. But did you know that volunteerism has great benefits for you? Now add work with charities and nonprofit organizations in Mexico, and you’ll have a fun-filled cultural learning experience that is second to none. It’s a win/win opportunity! What If You Can’t Get Involved at this Time? If you are unable to get involved in charity work in Mexico right now, non-profit organizations will always welcome monetary donations. These monies go toward the purchase of food, shelter, education and support. 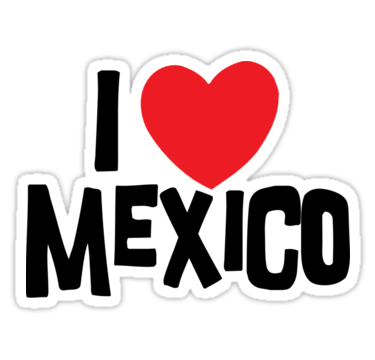 If you want to enhance your time in Mexico, check out the charities and non-profit organizations in your area. There are endless opportunities that await, no matter the location or season. If you’re involved with charity work in Mexico or a nonprofit organization, we welcome the opportunity to help you spread the word. And if you have any volunteering experiences specific to Huatulco Mexico, we’d love to hear from you! So, you’ve fallen in love with Mexico and can’t wait to spend more than a holiday among her mountains and valleys, lakes and oceans, villages and metropolises. We can’t blame you. But maybe you want more than just hanging out at the pool. Maybe you want to start a (fill in the blank) business in Mexico. It will be an amazing entrepreneurial adventure, but before you hang that “Abierto” (meaning “open”) sign on the door, check out our “how to start a business in Mexico” tips. Mexico’s economy is flourishing. Since the 80s, the GDP grew from a measly 2% to a whopping 24%. And it’s only skyrocketing from there. This nation has become a real force to be reckoned with in the global market, and its future is nothing but bright. Now’s the time to get involved. It’s always a good idea to spend an extended of time in your would-be business location. Get to know the seasons, the weather, the locals and the business culture in Mexico. Visit businesses of all shapes and sizes. Network with others in the know, and take time to find out what worked and especially, what didn’t. Business in Mexico is different than in other countries. It has is nuances, and you’ll want to be sure to get those much-needed “street smarts” before opening your doors. As a new “local” in the community, don’t forget the first key to a starting a successful business: Find and fill the need. Every community needs something, so be sure your solution is something you can handle with well-established know-how. It wouldn’t make sense to start up a cozy café if you’ve never worked a shift in the hospitality industry. Liquor licenses, business permits, taxes—you’re best served if you seek professional assistance for these matters. Governmental offices on the both the state and federal level can get you started, but attorneys will help you fill out the proper forms and get the results you need in a more timely manner. Semple agrees. Finding the right professionals such as contractors, accountants, and lawyers to guide her was the biggest challenge of starting her business in Mexico. This is incredibly important when it comes to monthly tax reports required by The Ministry De Hacienda (the Mexican version of the CRA and IRS). Despite the laidback vibe of Mexico, money burns fast. Unexpected expenses always come up. 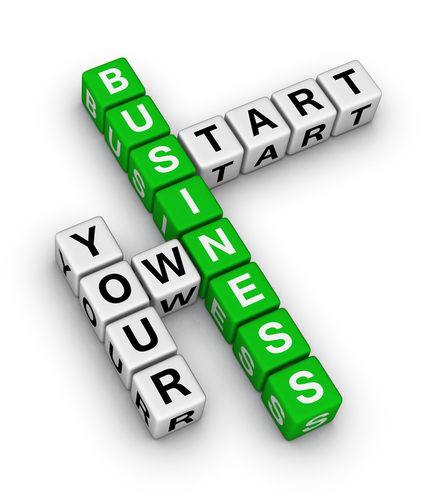 So make sure you have sufficient start-up capital, and lots of it. Practically speaking, this means having more than enough to cover rent, utilities and legalities for at least a few months. The immigration process in Mexico can be confusing, sluggish and exasperating. With new immigration laws in effect just over a year ago, the immigration process has been a bit more complicated than in years prior. In order to streamline your efforts, hire a competent immigration lawyer who knows the system and the proper officials. They will facilitate paperwork approval. Just be sure to talk with other expats who have been through the process. Find out who they recommend (and who they would avoid). Other expat business owners opt to rent space. While it may seem more budget-friendly in the short-term, you run the risk of paying twice the amount because you’re a foreigner who may not know any better. That’s why it’s always good to grow roots and understand the culture as we’ve mentioned in earlier “how to start a business in Mexico” tips. Should you have any questions or are wondering about real estate or expat business opportunities in Huatulco, Mexico, contact us today. We’d be happy to share our experiences.